We are all for using the safest, most natural means possible to keep mosquitoes away. Anything that involves natural and environmentally-friendly solutions, or plant-based products, seems like a good answer to the mosquito problem. Natural, or organic solutions (they are not one in the same — the bar for something to be called organic is higher) are something we hope will be the norm in the future. Mosquitoes have been around forever, but the techniques for controlling them have only recently become increasingly reliant upon man-made chemicals like DEET. To be clear, DEET works – that is why it has become so popular, and it is why we suggest using it if you need sure protection from mosquitoes. And while EPA testing shows DEET is safe, the desire to control mosquitoes in a more natural and organic way has really picked-up steam in recent years. It only makes sense that we want to constantly make mosquito protection as safe and natural as possible. Organic solutions are gaining more credibility in mosquito control, just as more natural solutions and even essential oils are for ticks. Controlling mosquitoes in your yard can be a challenge, because there are just so many places for them to make themselves at home. Plus, mosquitoes don’t care about property boundaries, so if you do your best to keep mosquitoes away but your neighbor doesn’t do a thing, you are probably still going to get some of their mosquitoes coming your way. Still, there are a few organic things you can do to reduce the mosquitoes outside. Get rid of standing water. What is more organic than allowing nature to solve the problem by itself? Mosquitoes need standing water to breed. That means that if you can eliminate standing water in your yard, you will go a long way toward reducing the mosquito population who breeds in your yard and calls it home. 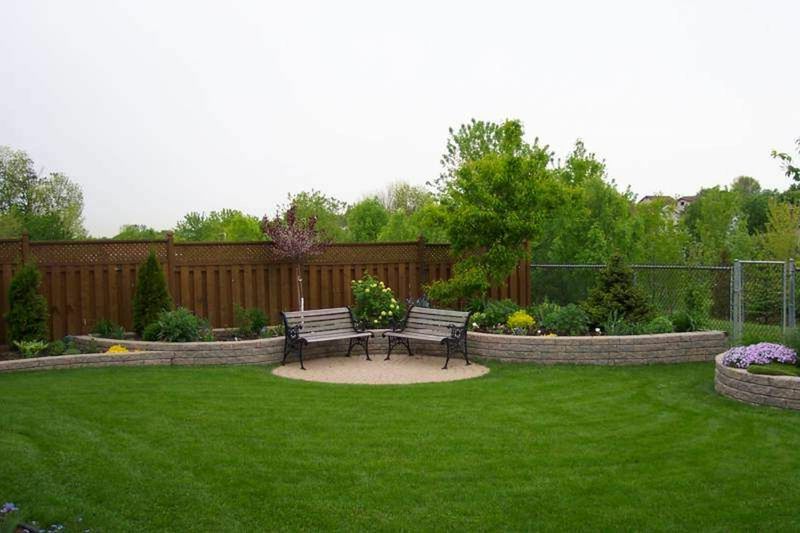 This includes things like puddles, ponds, plugged eaves, water features, and birdbaths. Old tires are also a common culprit. Coffee grounds are proving more and more effective when it comes to mosquito control. Can’t Get Rid of Standing Water? Add Coffee Grounds. Coffee grounds are emerging as a major weapon against mosquitoes. Studies have shown that adding coffee grounds to standing water will help prevent young mosquitoes from being able to survive. You don’t need to use the high-end Starbucks for this – just get some basic coffee grounds, add them to water, and it will likely help. Unused coffee grounds tend to work better than used ones. Try Citronella or Basil Plants. When it comes to plant-based solutions, citronella seems to perform quite well. The issue is that the testing that has been done on citronella focuses on concentrated oil, or citronella that is burning. When you simply have plants in your yard, you don’t have the same level of concentration, but it stands to reason that mosquitoes will at least be somewhat affected by the plants if they dislike the oil so much. Basil is also shown to have some protection qualities, also it is not as complete as other options. You don’t want to rely solely on basil plants if you are in an area known for West Nile or Zika, but they will help. Burn a “Smudge”. While it might cause a little air pollution, a fire that is burning vegetation is a pretty organic way to control bugs. A smudge is a nickname for a tactic that has long been used by farmers trying to keep bugs away from their livestock. You start a fire, and then put some slightly wet vegetation, hay, or grass on the fire. It will create a white smoke that will hang in the air, and mosquitoes hate it. Obviously, the fact that you are inhaling smoke might offset the benefits of not using a chemical, and this is only a temporary solution. When the smudge is gone, many of the mosquitoes will eventually return. Burn Thyme or Basil. Burning the leaves of Thyme or Basil appears to have some effect on short-term mosquito populations. However, it is hard to tell how much of the effect comes from the leaves themselves (actually, the oil in the leaves) or from the presence of smoke and fire. Added bonus is that these herbs smell great. Use the Breeze. Mosquitoes do not like wind. If you have places in your yard that tend to have still, stagnant air, see if you can remove them by cutting unwanted brush or removing sheds or other structures that are old or not essential. Getting regular airflow through your yard is one of the most organic ways possible to keep mosquitoes out. Controlling mosquitoes in your house can be sensitive. Some of the techniques we listed above obviously do not work when you start talking about the in-home environment. Still, there are things you can do in the house to help reduce mosquitoes in an organic way. Don’t Let Them In. Might seem obvious, but the #1 point on our list of ways to control mosquitoes in the house is to seal doors and windows. If you can keep mosquitoes out, you have solved the problem. 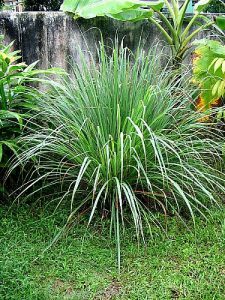 Citronella plants can be used outside, and its oil can be burned inside or out. Citronella Oil. Citronella has long been proven to do a good job of reducing mosquitoes, almost on-par with DEET. In the house, you want to be careful about burning too many citronella candles, especially for people who have asthma or other sensitive respiratory systems. But if there are no sensitivities, burning some citronella can work inside (of course, burn it safely like you would with any candle). You can also explore having some citronella oil out in a safe place. Find here. Coffee Grounds. 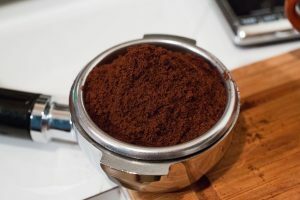 The evidence for coffee grounds as a mosquito repellent are growing stronger and stronger, and many homes already smell of coffee during many times of the day. Some coffee grounds placed out in key areas where mosquitoes tend to congregate can go a long way toward repelling the little critters. Mosquitoes appear to hate the smell of coffee, and so do wasps and hornets for that matter. Go with Folgers – no need to spend a ton of money. Camphor Oil. Camphor oil is derived from evergreen trees, and is widely available. The method for using camphor oil indoors is to dissolve some camphor tablets in a bowl of water, and set the bowl in parts of your home where you know mosquitoes tend to be. The aroma of the oil/water mix should help keep mosquitoes away from a few days, in which time you will need to change the bowl with a fresh one. There is also the option of burning camphor indoors, but many find the scent to be just a bit much for them. Find here. When it comes to mosquito repellents, DEET and related chemicals have become the standard. And for good reason – DEET is widely proven to keep mosquitoes away for a long time, and without known health effects if used properly. However, we get that some people don’t like the idea of a chemical like DEET being coated on their or their family’s skin. Especially when it comes to young children and babies, having a natural repellent can create peace-of-mind. Many of these plant-based solutions are proven to work well, but perhaps not for as long a period of time at DEET. So if you use them, just be sure to reapply often. 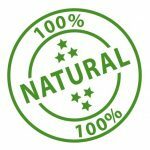 Here are a few organic alternatives. Clove oil appears to be one of the more effective oils for mosquitoes. is probably the #1 organic solution when it comes to direct-skin mosquito repellents. We think it smells quite pleasant, too. Find here. Clove Oil. Clove oil is coming on strong in its tested ability to keep mosquitoes at bay. 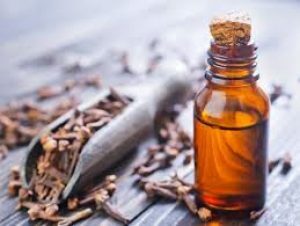 Rubbing the essential oil form of clove on your skin may have strong repelling benefits for a whopping 3-4 hours. That is among the best results done by testing at the NIH. We also like that it tends to not break the bank, budget-wise. Find reasonably-price clove oil here. Citronella Oil. We mentioned Citronella Oil above, but it can be applied to skin to keep mosquitoes away if you get it in an essential oil or cream form. Note that it should not be used in concentrations above 10%, as it has been known to cause skin irritation above the level. 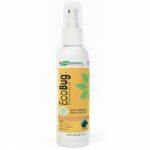 Perhaps our favorite Citronella-based repellent is the product from the Honest Company, a company that makes many products designed to be more environmentally-conscious. It tends to provide protection for a good 6 hours or so. Find here. Mosquito and Bug Shirts. If you don’t want to use any type of repellent, consider wearing a shirt specifically designed for keeping mosquitoes away. They tend to be lightweight and comfortable. 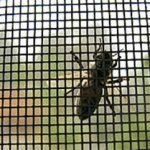 While some are treated with a permethrin-type chemical, many are simply fabric designed to keep mosquitoes from penetrating. A great way to use the clothing that you already were going to wear to keep the mosquitoes out. Natural and organic solutions for mosquitoes exist, and are worth trying for many people. The two things to look for in any evidence that you might seek out are: 1) How effective is the solution, percentage-wise, and 2) How many hours of protection will you get. DEET is so popular because it checks both of those boxes with flying colors — near 100% protection, and you can increase the concentration to extend the protection duration. Still, more natural solutions like clove, oil of lemon eucalyptus, and even coffee grounds are showing increasing evidence that they may work quite well. Whatever you do, remember that the single most effective thing you can do to combat mosquitoes is to break their lifecycle. Get rid of their breeding grounds, don’t let them setup shop in your yard, and make sure that you have a relatively dry and unwelcoming environment for mosquitoes. If you are trying to repel them at a backyard BBQ or around your play area, then you have already lost the battle in some ways. Make sure that you are controlling standing water and long weeds around your yard. We did not talk a lot about pets in this article, but we know they are top-of-mind for many. We did a special piece on the natural options for ticks on dogs recently. You can check it out here. We also include some more tips in our feature piece on getting rid of mosquitoes in your house. And as always, take precautions anytime you are spending time around mosquitoes or ticks. Enjoying the outdoors is fun, and it is even more fun if you are staying healthy and not getting bitten while doing it!